Bite-sized reviews of the LGBTQ books I’ve read in the past week. All titles are linked to their Goodreads page. 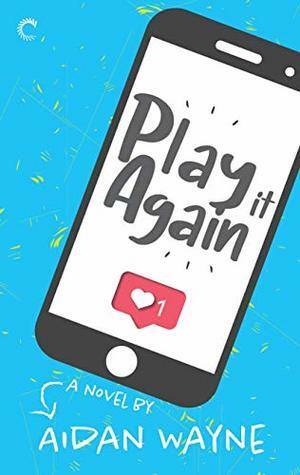 I received a copy of Play It Again from the publisher via Netgalley in exchange for an honest review. Play It Again by Aidan Wayne is a New Adult contemporary novel centering around Dovid and Sam. Dovid is a very successful Seattle-based blind YouTuber, who runs the channel Don’t Look Now with his twin sister, Rachel. Rachel, a gamer, discovers a little-known Let’s Play channel for her favorite game, run by Sam in Ireland. She gets Dovid to listen to it, and he’s captivated by Sam’s Irish accent and the personable way he narrates his videos. He gives Sam’s channel a shout-out on his next video, which sends Sam’s subscriber and comment numbers – as well as his anxiety – skyrocketing. After reading 48 books in March, I managed to reduce my TBR by a grand total of… one book! I went from 137 titles on the list on March 1st to 136 on April 1st. …I mean, new books keep getting published and what am I supposed to do, not read them? I highlighted 12 books in my March acrostic, a grand total of four of which I actually read in March (Chainbreaker, How to Be a Movie Star, The Afterward, and Semi Queer). I also started but DNF Nevada – I’m sorry, I can’t handle books that don’t use quotation marks; it messes with my comprehension and is too distracting. I received a copy of Gender Queer via Netgalley in exchange for an honest review. 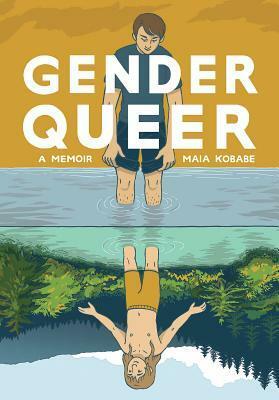 Gender Queer by Maia Kobabe is a memoir of growing up genderqueer before that vocabulary was really known. This is a memoir in comics, a graphic memoir, and I really enjoyed the art style; it brings Kobabe’s story to life so well, and the lettering is clear and easy to read while using a few different styles for emphasis. Every single page had me entranced as I followed along with Kobabe’s journey to understand emself and eir experiences as a genderqueer, asexual person. As an agender, asexual person myself, I related very deeply to Kobabe’s experiences; I could see myself on every page. I received a copy of Off the Ice via Netgalley in exchange for an honest review. 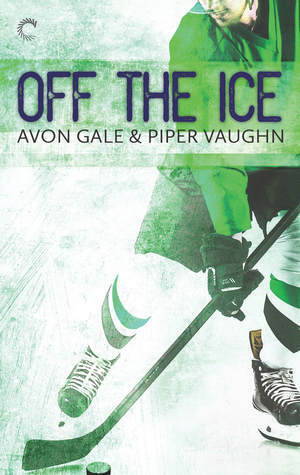 Off the Ice by Avon Gale and Piper Vaughn is an adult romance focused on hockey player Tristan Holt and sociology professor Sebastian Cruz. This title was previously published, but this edition is “newly refreshed by the authors”. I haven’t read the original edition, so I can’t say how significant that refreshment is. I picked this up mainly because I liked Gale’s Scoring Chances series, particularly Empty Net. Off the Ice has similarities and differences to that series; most obviously, it’s very much about hockey! 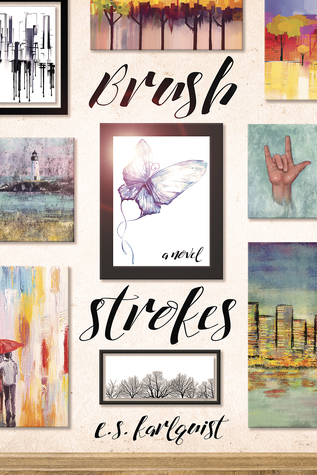 I received an ARC of Brush Strokes via Netgalley in exchange for an honest review. Brush Strokes by E.S. Karlquist is a New Adult contemporary fiction book centered around Todd Navarro. Todd is halfway through college and is unsure of what he wants to do in the future, other than knowing he wants it to be somehow art related. But his dad doesn’t think art can be a real job, and the fact that the gallery Todd works at is struggling financially isn’t helping matters. When his best friend Mela drags him out to a party to take his mind off things, he meets Daniel and develops a crush – until he learns Daniel might be involved in deciding the art gallery’s future.